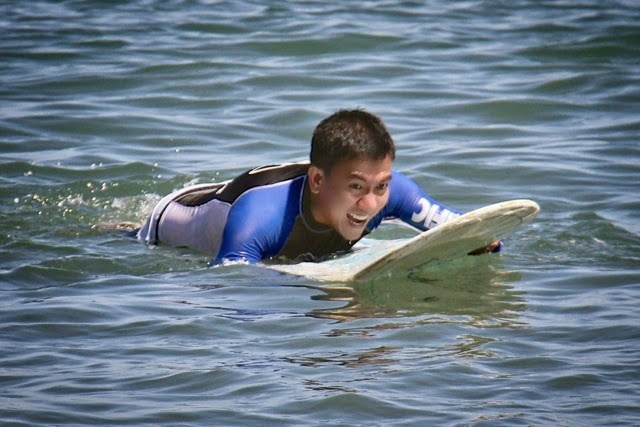 When I moved to Baguio, some of my colleagues talked about one of their hobbies - surfing. 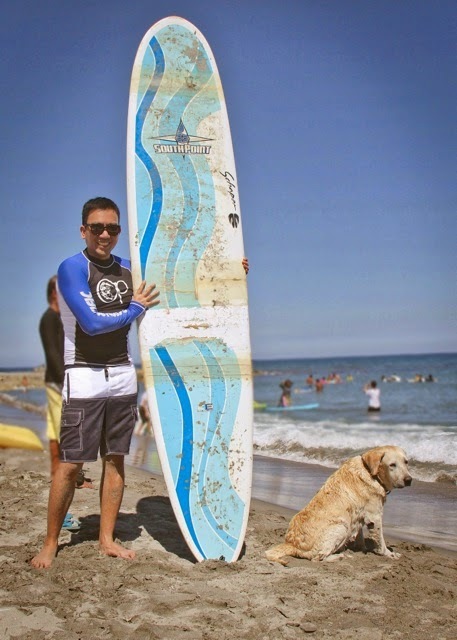 They said that they picked it up since the San Juan Surf school is just an hour away from Baguio. 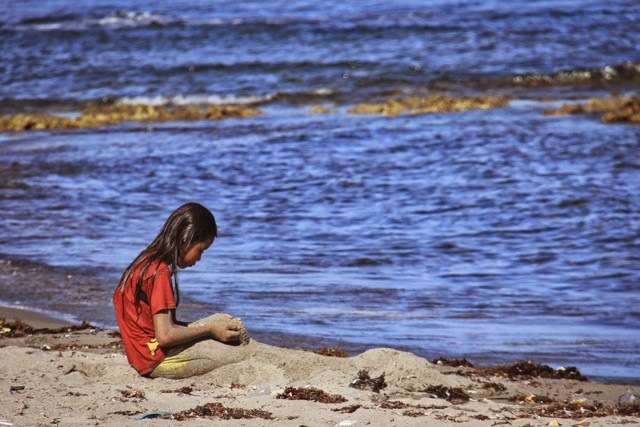 On weekends - they can drive down to La Union in the morning --- and by lunch time - they start driving home. That sounded interesting - and I've been fixing to check it out but never really did. Finally this year, my best friend, dad, the dogs and I were able to check it out. Yey! Stand up like a boss. 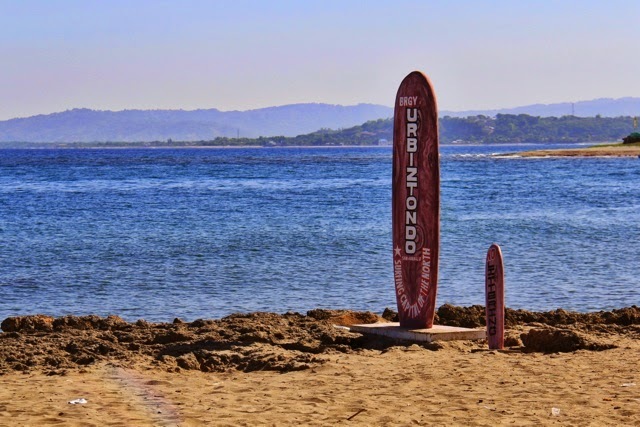 San Juan is now known in the Philippines ( and internationally ) as a surf spot. Going there in May is good for beginners like me --- but it's not that exciting for actual surfers. The waves that we caught were mostly less than two feet ( if at all ). 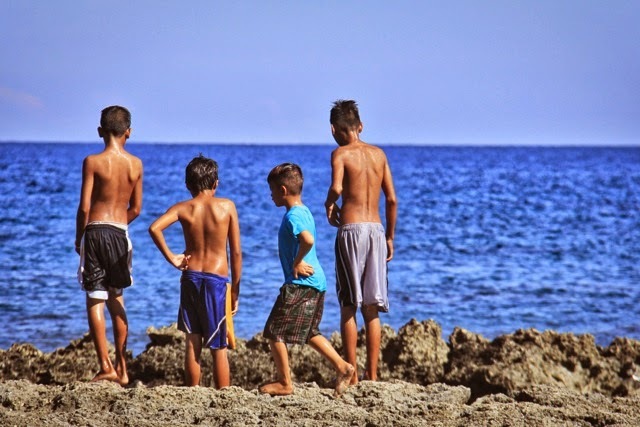 The best time to visit for good sizable waves is in July - onwards - although that can really be a challenge because that's also our monsoon season. But hey - why worry about having the rain soak you when you're already swimming right? I call her the little mermaid. She's sad that she has a fish tail instead of human legs. 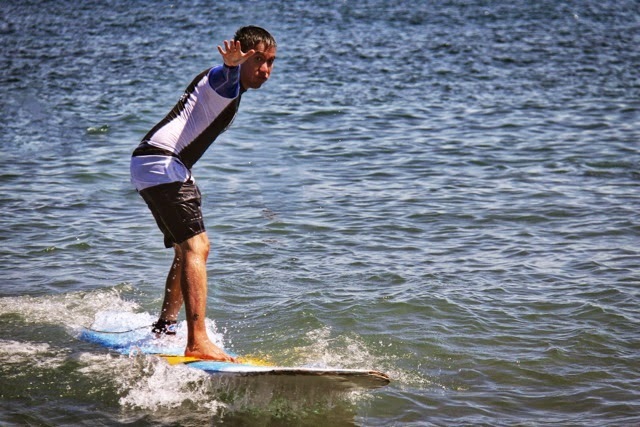 Surfing - like any new skill - is easy for me to learn. On my third attempt - I was able to get up. Some people go through a whole hour lesson and not succeed in getting up. Thing is - I wasn't very graceful and when I finally learned the skill - I started thinking about what I'm doing. That doesn't help me any - I realized that my instincts are much better than my cognitive ideas when it comes to learning new things. So after that successful attempt - I fell many times --- but in the end before my one hour lesson ended - I was able to get up and do it with grace. I met a celebrity - River the Lab Ret"River". He surfs like the humans. I asked for another photo with him he said yes - as long as he still gets to look out to the sea. 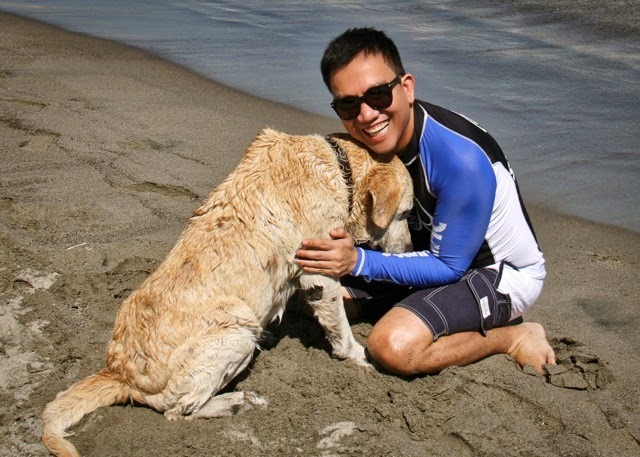 The surf resort is dog friendly. The three babies don't like the beach though. Plus - I need to make them wear shoes next time because the sand is really hot. Char Siew does not like wearing shoes. So this is not his favorite place - shoes and water does not really give him good feelings. Not much waves - so most of the time - we were just waiting. 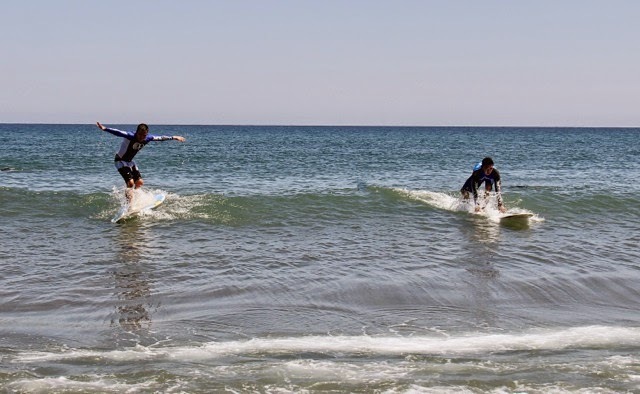 Surfing is not an easy skill to learn. 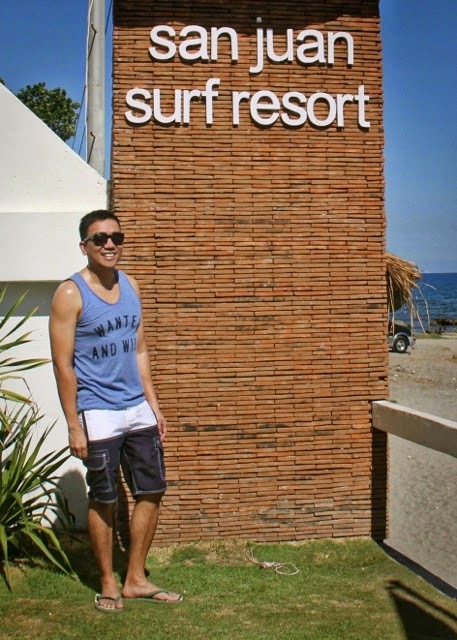 All in all - our excursion to the San Juan surf resort was a great experience. I paid 700 pesos for the lessons and I paid 500 for the surf board. They also lend you a rash guard. 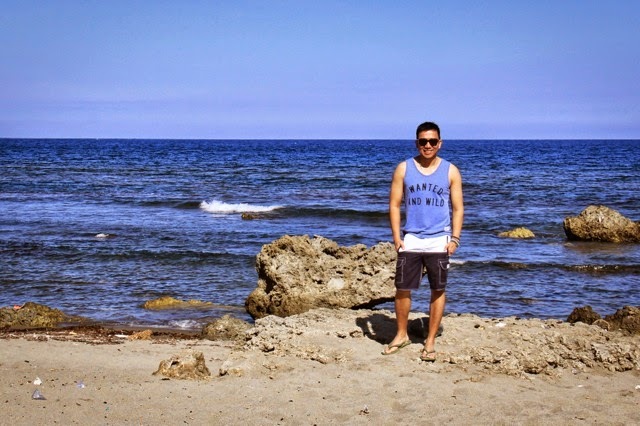 If you are on an extended trip to Baguio - I recommend checking out La Union - I'm sure you'd find it a refreshing break from the mountain breeze. I surely did --- but I must say I can only take those extremely high temperature for half a day. By early afternoon - I was looking forward to going back home. The resort looks nice. Next time - I plan to stay overnight. Had a blast - I want to go back - hopefully won't have to wait for 2 more years.